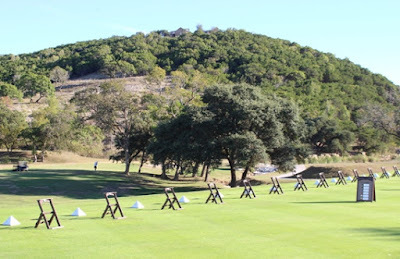 The golf course at Tapatio Springs Resort invites golfers to play a round. Matt Reams, PGA Director of Golf Operations, is excited about all the changes on the golf course at Tapatio Springs Hill Country Resort. And golfers who have played the course since it officially reopened on October 1, 2015 have praised improvements in multiple areas. 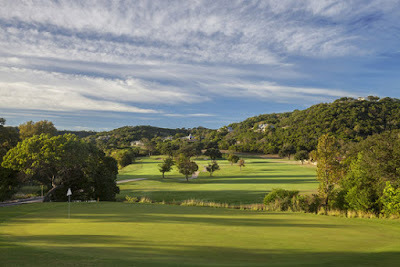 When development partners decided to renovate the resort, the golf course was the place they wanted to start. The 18-hole course is a prime reason visitors come to the upscale central Texas destination, so it was important to revitalize and improve this amenity. And that’s just what they did—at a cost of two million dollars. Larry prepares to hit his drive at Tapatio Springs golf course. The course is in fine shape after months of work spearheaded by course architect Trip Davis. The master plan included redoing tee boxes and bunkers, restoring greens, and upgrading the driving range and chipping range. At first the course was open during constructions, but when it suffered extensive damage from floods in May 2015, the scope of the project accelerated. The course was closed for several weeks at a time—even during prime playing season—but loyal golfers continued to play when possible during the construction process. “Completing the work during a low visitation season has been a challenge,” Reams said, referring to late fall and winter. But within the first month of resumed operations, the resort has hosted several tournaments and groups as well as individual golfers. “I expect next year to be a banner year,” he added. Larry and I were guests of the resort in late October, so we had an opportunity to see what the excitement was all about. 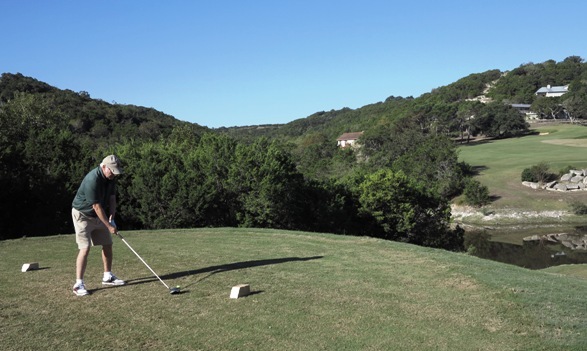 It’s a pretty course set amid limestone cliffs and rolling hills of central Texas. Golfers of all skill levels will find holes that require their best game. As moderate duffers, we knew our shots needed to be accurate to avoid abundant bunkers on the fairways and in front of greens. Trees that added to the beauty of the course gave us additional obstacles to play around. Water features add to the beauty of Tapatio Springs golf course. 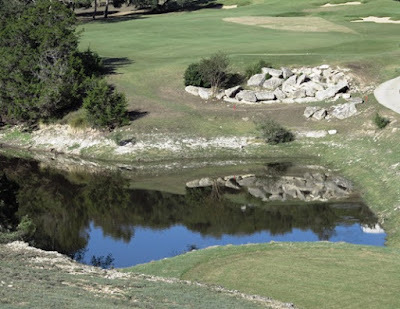 Frederick’s Creek meanders through the course, providing rustic water features on several holes. Additional work is planned to improve the creek’s ability to hold water (for irrigation purposes) and to create banks that are more aesthetically pleasing, Reams said. 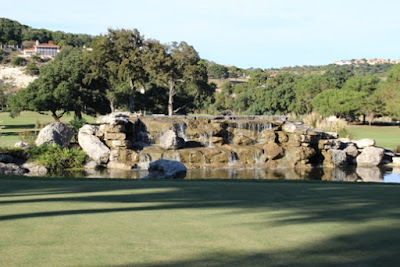 When this is done, Tapatio Springs will take its place among premier golf courses in Texas. Finish with views of this pleasing waterfall on the golf course. Visitors should check out winter rates that begin in December and ask about golf packages. With recently renovated dining and swimming facilities, attractive outdoor gathering spaces, and a commitment to excellent service, Tapatio Springs would be a fine choice for a guys or gals golf weekend or a couples’ golf outing.